Previous postWant to participate in a clinical trial? Try clinicaltrials.gov! Next post#Redshoes4youngstroke: A Call to Action! Great informative article. I suffered my first store at 34 from vad. I can relate to lots in this article. I was left with hemianopia and visual hallucinations. It’s very hard to explain to family or friends what it’s like. Still my friend’s think I’m clumsy or being dramatic when I ask to sit on the left otherwise I can’t see what’s going on. I bump into thing’s and people but u can’t start explaining to everyone sorry I’m partially blind. I’ve had lots of bruises and a couple of black eyes from banging into thing’s. All that a side I’ve learn to adapt . The mind and body is really amazing. 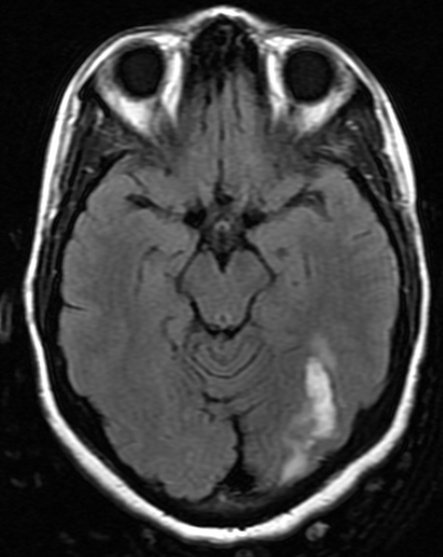 Can a front lobe benign brain tumors reason of lost of eyes? If tumors removed after surgery still there any chances of impact on eyes? loved the article. Yvonne I’m right there with you. I had my stroke at 44. I had a brain stem stroke. Luckily, I am not locked in. I am partially paralyzed in my throat. I walk into a lot of things too. I lost my left cerebellum. My eyes were greatly effected by the stroke. I still have issues. I don’t have good depth perceptions and many other issues. However, the brain is amazing. I get by.